Being a student-athlete has its pros and cons but there are many things that other students may not know about the experience. As a member of the Detroit Mercy men’s basketball team, I can tell you many great things about being an athlete. The traveling experience is like no other because you sometimes get to use private planes and it feels like you are an NBA player because you also get to stay in a nice hotel and use charter buses. During the road games, we get to eat at good restaurants that, otherwise, I can only imagine eating at because of the expense. It feels as if you are on celebrity status because everything we do is first class. I can say from my personal experience that the traveling makes me feel like I am a primetime player. Where I come from you do not get these opportunities every day. The one thing common misconception is that student-athletes get special treatment and that professors favor athletes. That statement is far from the truth because student-athletes have more things to do on a regular basis than many other students. All of the perks and privileges we receive come from our talent, hard work and dedication. Some of the same students who complain about the privileges student-athletes receive are the same ones who would not last two days doing what we do on a daily basis. Athletes’ schedules are consumed. We have practices, games and meetings. Some other students seem to have all of the time in the world after classes are over. I can tell you from experience that being a student-athlete is not easy. We still have to meet the same deadlines our professors put out for our assignments. The whole thing about being a student-athlete is managing your time because your windows are often only an hour and you have to get food after workouts. My teammates and I wake up at 6 a.m. every morning to work out in the weight room and after the weights we go to morning classes. Being a student athlete is a 24/7 grind because practices may cause fatigue and make the days seem longer. I remember when I had to take two classes after practices during my junior year and still attain the same material as everybody else. The major challenge to being a student-athlete is finding study hours because the amount of sleep you need to have energy for the next day is nine hours. 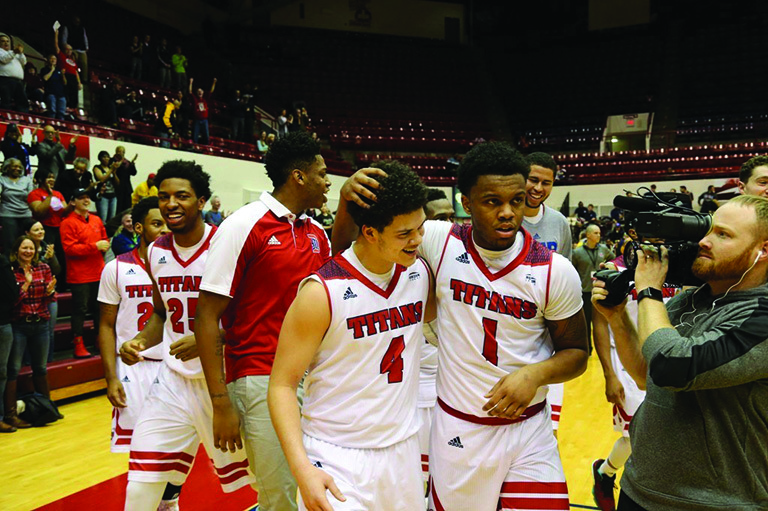 The best part about being on the Detroit Mercy men’s basketball team is you are part of a brotherhood that will last forever – just as the relationships you can build with your professors can last forever, as well. Beyond that, being on the men’s basketball team also means that you are a public figure representing the school. Somebody is watching your every move. One other key detail to keep in mind about being a student-athlete is your scholarship is only guaranteed for a year and you have to grind in the classroom and on the court to retain it.